Analytics and Attribution in Mobile Apps: Why Is There Discrepancy in Data? Why do we see different data in App Analytics and Mobile Attribution Platforms? 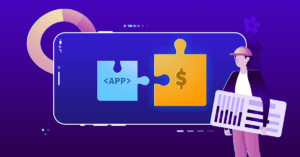 One of the main problems that app marketers usually face when applying user acquisition strategies is the discrepancy of the data between the Analytics Platforms and the Attribution Partners like AppsFlyer or Adjust, among others. No need to worry – this is completely normal, and is encouraging us app marketers to take a habit of treating the data we are getting in a more profound and analytical way. We can have a better understanding of user behavior. For any particular report, we can quickly identify the best platform to pull the data from. We start reacting efficiently facing the anomalies in the obtained results. We can detect technical, product or usability problems in our app. We can set benchmarks in the data discrepancy. We can detect which of our app screens need to be enhanced. We are able to make better decisions about the product and anticipate changes in the roadmap. What is considered an install by the Attribution Platforms like AppsFlyer, Adjust, Kochava or Tune? The logic answer would be that the install is counted when the user downloads an app from the App Store or Google Play. However, it’s very far from being reality. It is important to know that most Attribution Platforms only count an install when the user have downloaded and opened an app on their device, and not earlier. Why are they doing it? Because the only source of data for third parties is the SDK of each platform that is integrated into the app. This SDK allows Attribution Platforms detect the first opening of the app by the user and track the events that we are interested in, such as “registration” or “purchase”. The only two systems that know the real number of installs of an app are Google Play Console and iTunes Connect. For this reason, when we extract the acquisition data from these two platforms and compare them with the data from our Attribution Platform, we find discrepancies between them. The user may have installed the application, but has never opened it. The user may have installed the app, but has first opened it in the next few days. The user may have installed the app, but then uninstalled it and has installed it again. It is possible that the user has installed the app, opened it, but the app crashed before the SDK was initialized. It is also possible that the SDK is not triggered right after the first launch, but at a later stage, for example, after performing some in-app action, such as downloading additional content. Another aspect that can cause discrepancies between the official app stores platforms and the Attribution Platforms is the difference between accounts and devices. That is, in iTunes Connect and Google Play Console, the installs are counted according to the user ID, while in the Attribution Platforms they are counted according to the device ID. A user has two Android devices with the same account ID and installs the app on both devices. For Google Play Store, this will be counted as a single install, while for the Attribution Platforms this would be counted as two installs. Is there any solution to this discrepancy? Unfortunately, not. This is why the best we can do is to establish a reference point for these differences in data. First of all, we must understand what is the Attribution Window – it is the amount of time can pass between the user sees or clicks on an ad and the install. The problem is that the this window is not always aligned with the time between these events. For example, a user clicks on an ad of our app on November 12th and installs the app on November 14th (2 days later). This install is attributed if the window is set for 3 days or more. In the opposite case, if the window is set for 1 or 2 days, this install will not be attributed. On the other hand, we need to highlight that the attribution windows of click and impression can have different configurations. The best known case is Facebook: the platform allows us to assign different attribution windows, based on both click and impression and in different timeframes (1, 7 or 28 days). Therefore, we have to set this window according to our business needs, otherwise the data will be displayed by default, with a window of 1 day for impressions and 28 days for clicks. It is also advisable to make sure that we have the same attribution window configuration in both the Attribution Platform and the Ad Network. Where does the install come from? Each advertising network claims a new install as its own. The problem is that they can not know if there have been other interactions with other ad networks before. In other words, the same user and the same install could be attributed to two or more networks. This is where an attribution partners becomes important, as they collect all the clicks that occur in the attribution windows and give the credit for the install to the last one. Let’s take a look at the two biggest and most popular advertising platforms among marketers: Google AdWords and Facebook Ads. For example, yesterday a user clicked on a Facebook ad and then on Google AdWords ad, and finally installed the app the next day. In Google AdWords panel, this install will be attributed to AdWords and in the Facebook Ads, it will be attributed to Facebook. In the attribution platform, this install will be attributed to Google AdWords, according to the “last click” rule. Are we looking at the same reports? We often believe that we are looking at the data from the same angle, but in reality it’s not like that. There is no right or wrong approach in this regard as each data provider has its own understanding of how to display the data to provide the maximum value to the users. To understand this situation, let’s look again at the case of Google AdWords. AdWords reports all your conversions (including installs) based on the day of the click and not the day of the install. Most attribution platforms do exactly the opposite, that is, if a user clicked on an ad on August 3rd and installed the app on August 4th, in AdWords this user will be attributed on August 3rd, while in the Attribution platform will be attributed on August 4th. We hope that we managed to answer the question of many developers and marketings about the reasons that causes the differences in data provided by Mobile Analytics Tools and Attribution Platforms. If you know any other reasons or have made some interesting conclusions about it – feel free to share it with us! Appsflyer shows me double installations of my app than that of Google Play Console. It seems difficult to explain the huge discrepancies. The App has over 100 million downloads totally. TheTool is a new Performance-Based ASO tool that can be used by any developer, marketer, publisher, agency, network… Do you want to grow your Mobile Business? Just sign up for FREE in our platform and start optimizing your iOS / Android mobile apps and games! Do you want to tell us something about our ASO tool? Let’s get in touch! © 2019 TheTool. All rights reserved. Made with ♥ by PickASO. I WANT A 14-DAY FREE TRIAL! Join 20,000+ app developers & marketers!